Beavers Bend State Park and Broken Bow Lake is known for its towering trees, 14000 acres of crystal clear lake with 180 miles of shoreline, and Oklahoma's only year-round trout streams. Dogwood Holler Cabin is located in the community of Hochatown, just around the corner from Cedar Creek Golf Course, 2 miles from Broken Bow Lake and 4 miles from Beavers Bend State Park and many trout streams. You will enjoy the quiet location of Dogwood Holler Cabin and the towering trees that abound in every direction. 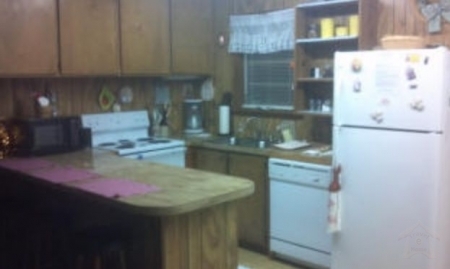 When you are not enjoying the many attractions at Beavers Bend Park or Broken Bow Lake, you can sit outside in the large closed-in back porch and enjoy watching the wildlife or just take in the serenity of the area, or maybe you would rather sit outside on the swing or benches or fish in the pond. The choice is yours at Dogwood Holler Cabin. 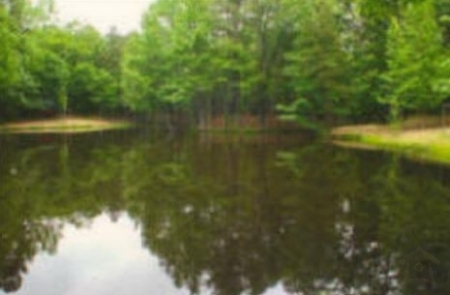 Located on 10 acres adjacent to the Quachita National Forest you will never tire from the view. If you like to hike, there is a great trail from the cabin to Broken Bow Lake, and you will be close to many more trails at Beavers Bend Park and Broken Bow Lake. Dogwood Holler Cabin has every Amenity that you need so all you have to bring is yourselves, your clothes and food. 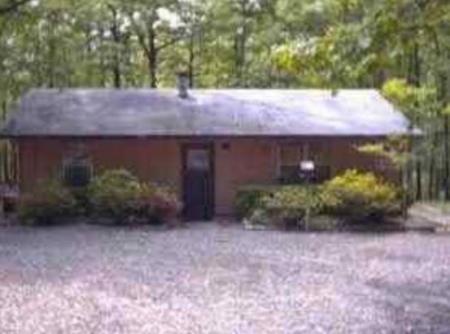 Dogwood Holler Cabin also has a private entrance, circular gravel drive and plenty of room to park your boat. 2 night minimum, 3 night minimum for Holidays. Holidays - Minimum 3 night stay Required. Cash discount: $5.00 per night.